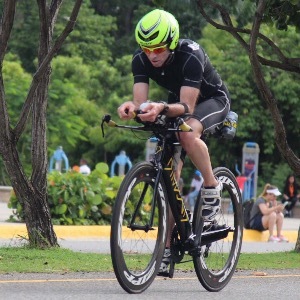 I have been competing in sports requiring endurance for over 20 years now, including wrestling, boxing, soccer, running, cycling, and triathlon. I have been coaching athletes for about two years, officially, and all of my athletes have shown solid improvement. I have triathletes and endurance runners as clients, some with lots of experience and others with very little. I am also an Army Master Fitness Trainer and have developed comprehensive fitness plans for units and individuals deploying to areas with difficult climates and terrain. I believe that most people do not have enough time in the day to train and recover as much as they would like, while still having enough time at work and with family and friends. Thus, I use data and feedback to identify the key workouts for each week to maximize the opportunity for increased performance. As part of that plan, I work with athletes to develop challenging but attainable goals that will help lead them to overall improved abilities and successful races, whether that be a podium step or completing an Iron distance event without feeling completely destroyed. Success. Coach Ian Murray has been notified of your message.